There was a series released a very long time ago which had within it the appearance of many myths and legends, telling the story of some of the more well known, but also stories about others around them. The sad part is that to find any copies of this series is really very difficult. 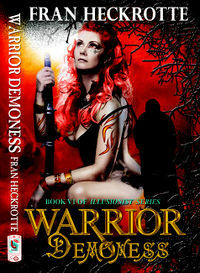 Having managed to locate one copy of Warrior Demoness, the sixth work in the Illusionist series by Fran Heckrotte, I thought that coming into the series well towards the ending would be a problem. Overall it wasn’t, much of the story didn’t require reading of the previous works. However, it did cause me to have many questions about one particular character who makes but a fleeting appearance…Lilith. 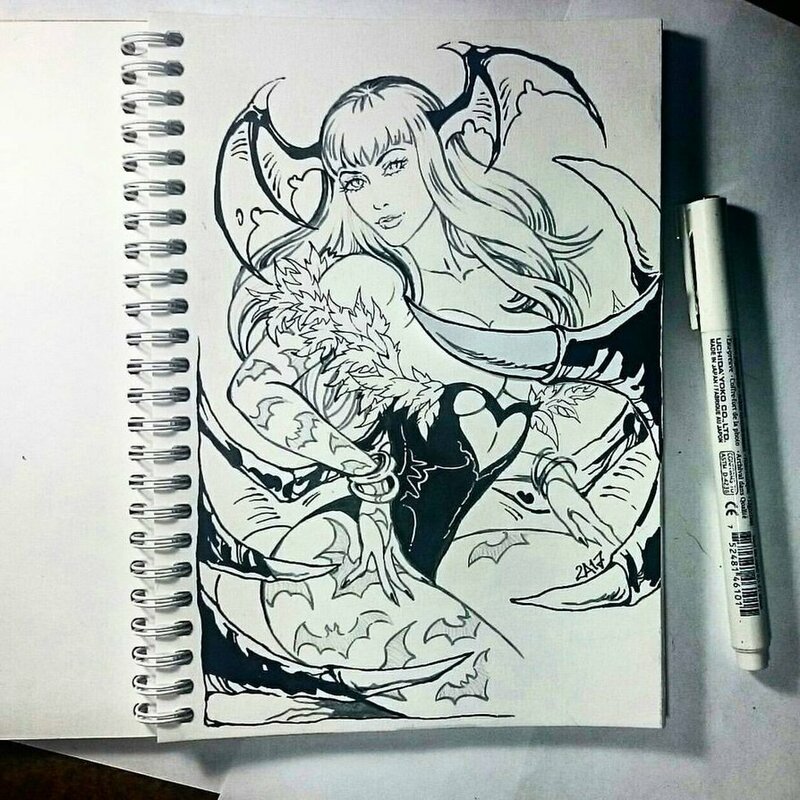 She was Sabnock, a demon, who like the Phoenix, lived and died many times because she chose to live amongst mortals rather than spend eternity babysitting the legions of the Underlord. There were no longer battles to be fought in the Underworld so the ex-commander left her realm to live with the humans as human. Falling in love, she now had to choose between her vow to live and die as a mortal or love and live as a demon, not knowing if her lover could accept the truth. The wrong decision would condemn her to a life of loneliness—and for a demon life was eternity. Sabnock is a demoness, one who has her freedom, to a point. One that lives by a code that causes much pain and suffering to herself. She lives life after life and in but one she discovers someone to love that she leaves soon after. But soulmates come together again and they do. But then the real story starts. The work is a mix of the supernatural, the everyday, the crisis of belief and love and in all of that what happens to a pair of souls that are meant for each other. This is told from one of Sabnock’s lives to another, passing through short lives surrounded by battles, scars, and more. The telling of that story, to discover what drives Sabnock forward is a telling story. But it becomes more when she discovers that the one she thought lost still lives. And then it all falls apart. There is a great deal of tragedy and pain for both Sabnock and her love Constance in this work, though there is little seen of Constance save for two points in the story, but they have power, passion, and more importantly, they show the connections between the two, ones that matter very much by far. The search which Sabnock undertakes to find her love opens the door to many other characters, each with their own strong personalities, drives, wants and needs. The most interesting part of that comes to the connections that Sabnock has with each of them. It’s those connections that make those of power in the other worlds… more human. They aren’t simply there to drive the story forwards, there is more to things than that and it makes for a much better read. One of these is the demoness Lilith, but her appearance is a very minor and fleeting one which I was a bit disappointed in. That comes from the wonderfully seductive and intelligent personality she shows. More so, it’s the little mirth, the knowing look and teasing sparring of words that she deals in that just made me wish to see more of her. But, Lilith is a momentary shift in the story well towards the end and only is there to help close a thread of the story out. There are a few moments of erotica in the work that have a lovely heat to them. They are, in a way, three lovely hot flashes in the midst of an adventure, but they don’t feel out of place, nor are they given with little thought. There is passion, love, and most importantly, there is a sense of the love between the characters in these moments that was wonderful. Quite a satisfying story that holds your attention from beginning to the cherished ending. While there isn’t much seen of Lilith in this work, she does have personality and I did like her very much when she popped in for the instant she was there. This is the story of Sabnock and Constance and it’s wonderful. Perhaps a bit too much mystery about the ending, but then all good stories leave something to the imagination to think about when the story is over. Growing . . . finding truth and love and passion, becoming more than who they were . . . this reminds me a bit of the devil girls in “Sinfest” who seem to be becoming Succubi as Your Majesty understands them. Certainly, they are becoming more than what we understand demons to be, and this is what makes for a good story. The story of Lilith might be truly phenomenal. Hopefully the series will end with Sabnock and her white cat together at last. Thank you, Tera, for taking the time to write this wonderful review. I just discovered your website so I’m late in this posting. As an author I appreciate readers who take the time to comment on my stories. Whether positive or negative, it is a sure way of helping me become a better writer. In the future if you are interested in any of my other books just email me. The Illusionist series spans many realms as well as the paranormal… and Constance first appears in the second in the series, Bloodlust, which is about to be re-released. The Illusionist was released last month. Lilith is being released in January 2016 and the other three during 2016. Again, thank you and the spirits be with you. Pocong. I have a couple of short stories to release. You will know what happens to Sabnock and Constance.